Facing Out will again be taking part in Manchester Science Festival at the end of October ‘18. There will be three events: two at Maggie’s Manchester and one at Maggie’s Oldham. 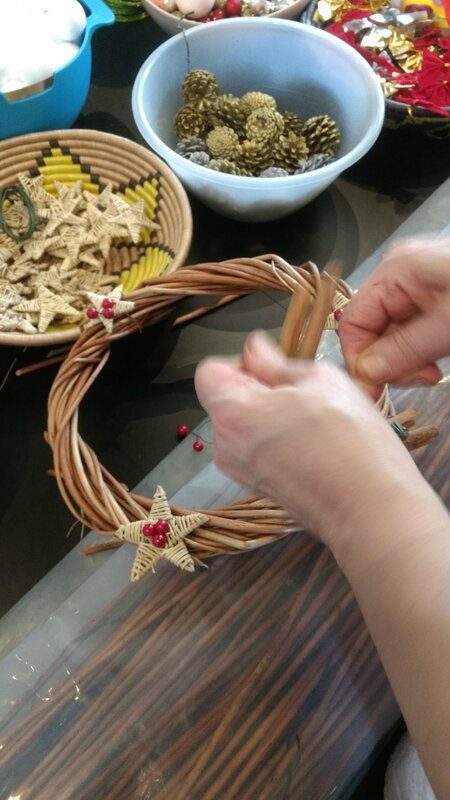 The Oldham event will be a craft afternoon which will introduce Oldham centre visitors to the Facing Out project as we enjoy creating together. It will take place on Wednesday 24th October 2-4pm, is free and is open to anyone affected by cancer, people with a diagnosis or their family members and friends. 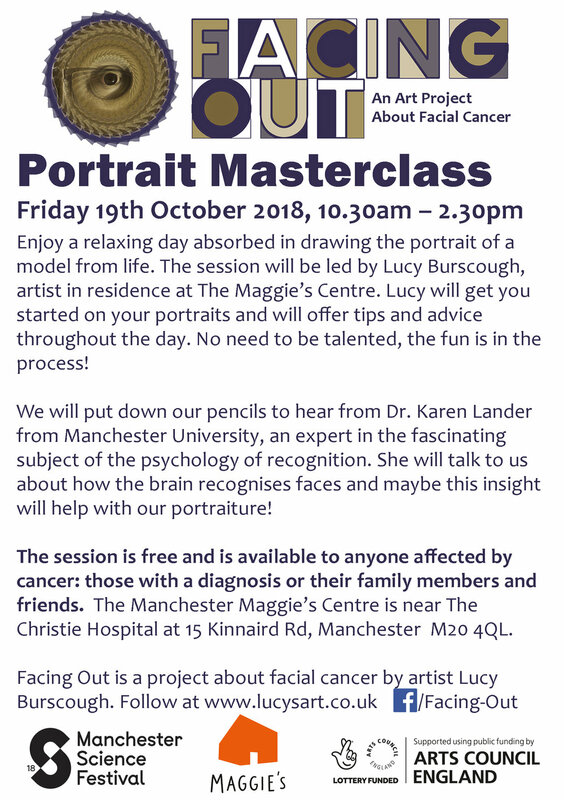 At Manchester Maggie’s, Talking Heads is open to all and the Portrait Masterclass is limited to people affected by cancer. 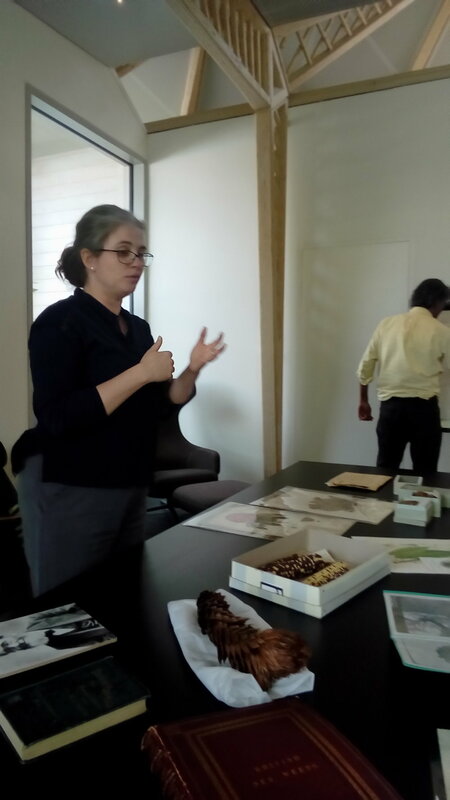 This week's visitor from the Manchester Museum was Rachel Webster, Curator of Botany. 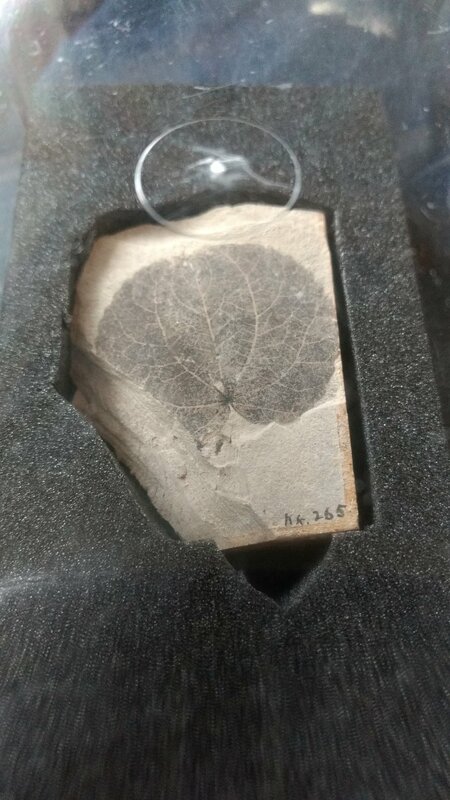 The museum's herbology collection is enormous and filled with beautiful botanical drawings, thousands of examples of pressed plants from around the world and the hand written notes and cuttings from journals made by the Victorian gentlemen collectors who gathered them together. Rachel has a multitude of objects to choose between and she did not disappoint with the selection that she made to bring to Maggie's. 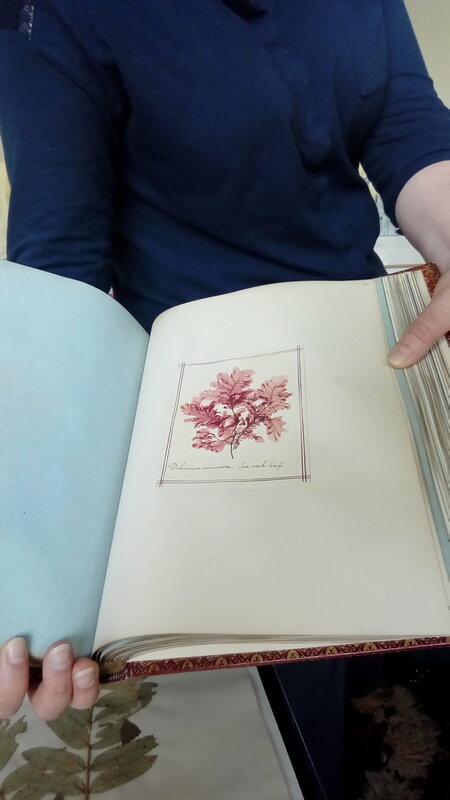 Each object told a wider story, some illustrated the changing environment of the area surrounding us, while others told of the Victorian passion for plant-collecting and the characters whose search for interesting specimens saw them creating global networks of fellow flower fanatics. 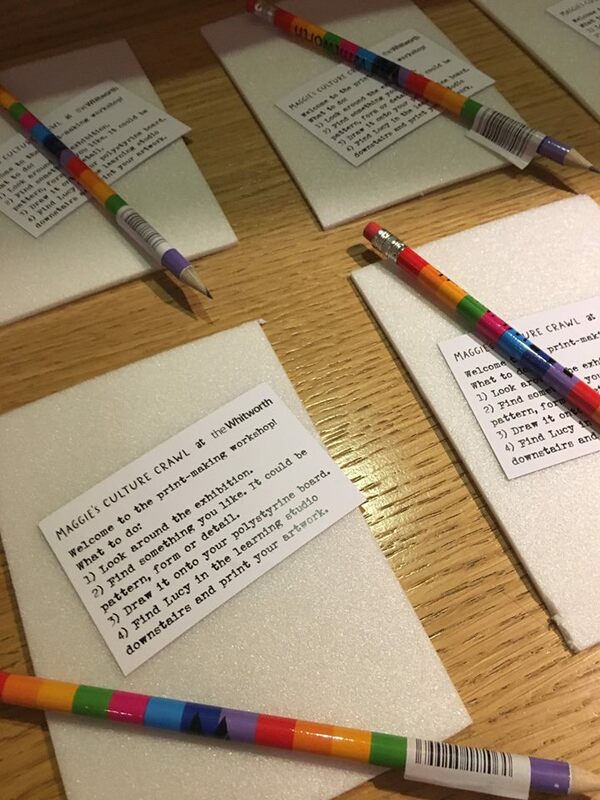 We were able to peruse beautifully bound books of botanical drawings and a box of unusual looking sweetcorn cobs gave an insight into the processes behind the development of modern vegetable varieties! 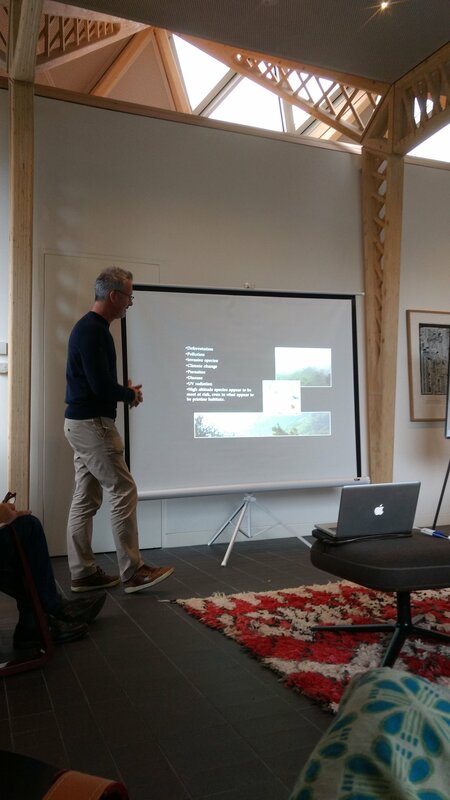 It was truly compelling talk, and very informally delivered to centre visitors as they relaxed on comfy sofas. Perfect for the homely atmosphere that is so much a part of Maggie's Manchester. 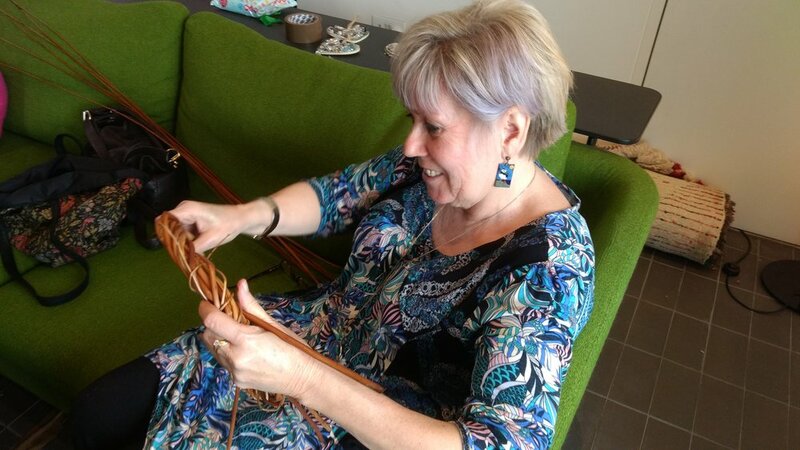 I have had my first taste of some of the fantastic fund-raising activities that keep Maggie's Centre Manchester up and running when I was asked by The Whitworth to be involved in the Maggie's Culture Crawl 2017. 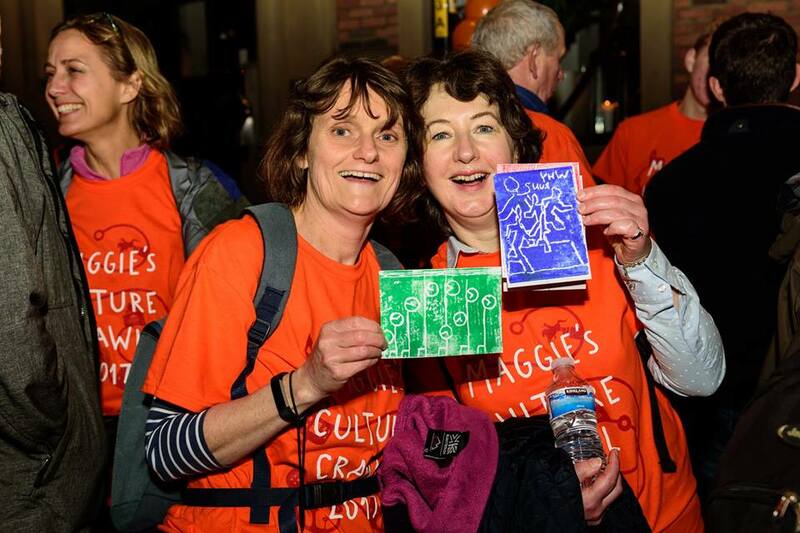 The event was a 10km walk from the Maggie's Centre to Manchester town centre, stopping along the way at some of the city's top cultural attractions. 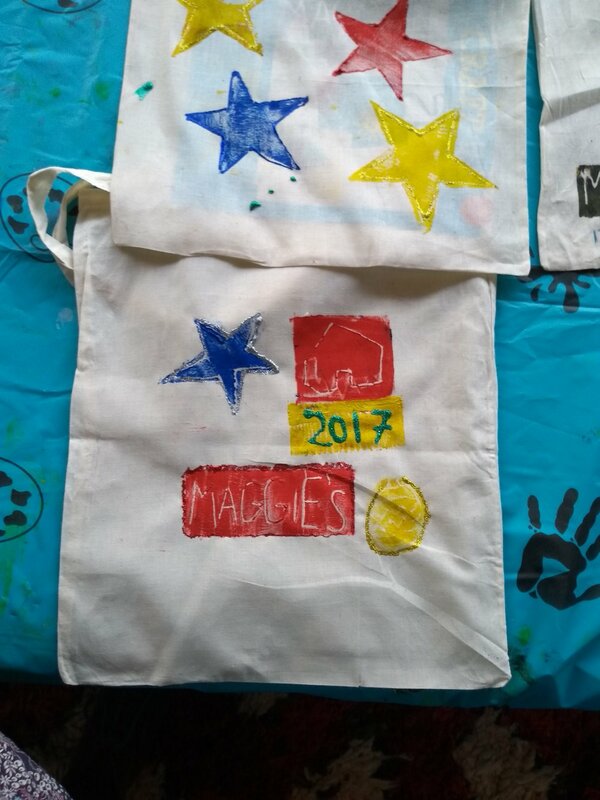 A really fun night with giving back to Maggie's at its heart. 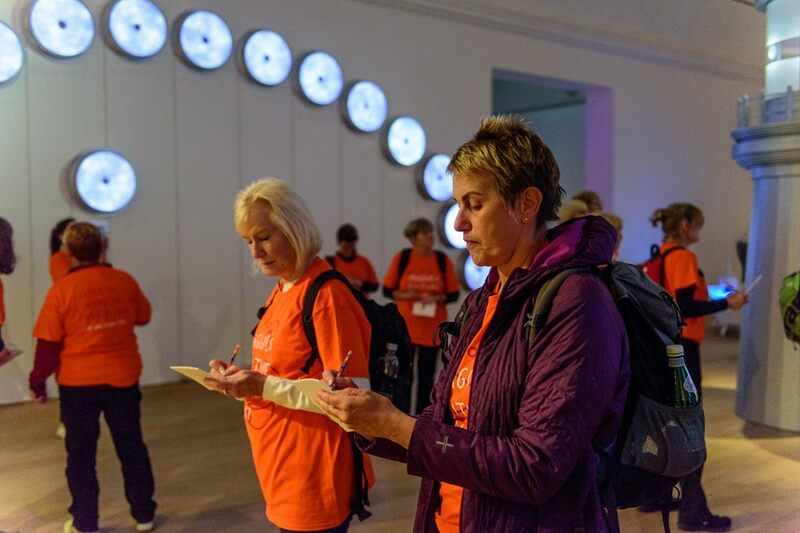 The walkers arrived at The Whitworth after a send off at Maggie's which included a choir, brass band and motor-bike cavalcade followed by stops at the Gallery of Costume and nibbles in Rusholme. Earlier in the evening The Whitworth celebrated the opening of an exhibition of artworks by the Raqs Media Collective entitled 'Twilight Language'. The culture crawlers were given printing plates to emboss with drawings inspired by the exhibition in preparation for block-printing. Delivering hands-on arts for health activities for the 270 walkers who eventually signed up for the culture crawl was a little daunting but some military-style planning and the help of Maggie's staff and volunteers helped the workshop to be a great, if crowded, success! 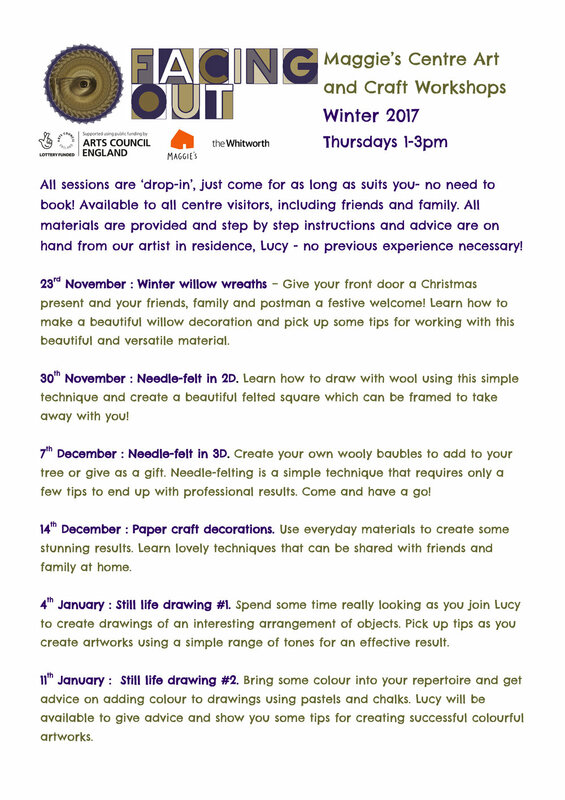 Facing Out has begun with a residency at Maggie's Centre Manchester. Maggie's Manchester is a beautiful place with a beautiful ethos. 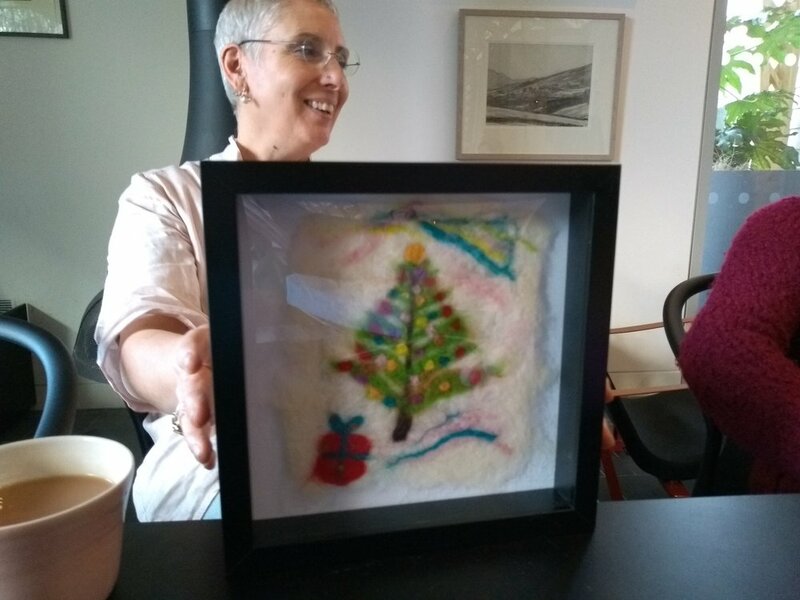 With a very light touch it provides practical, emotional and social support to people who have cancer and their family and friends. 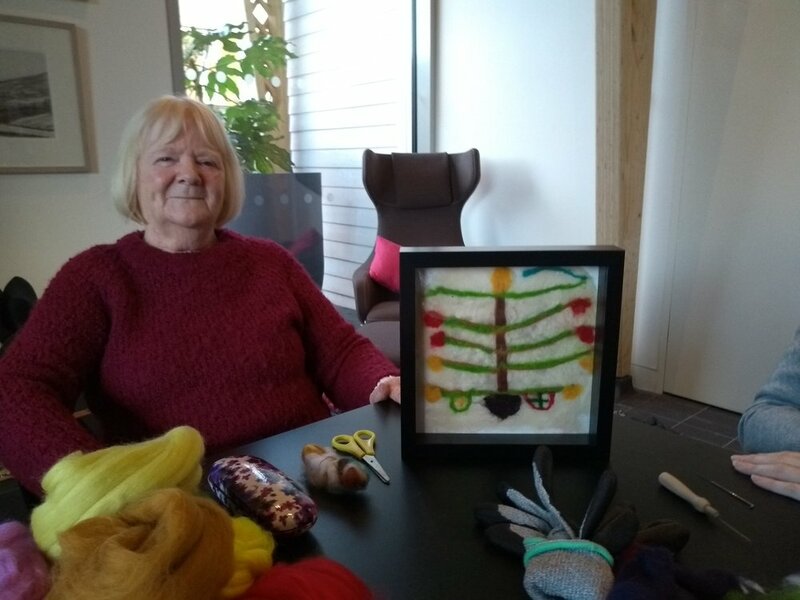 Run by welcoming and knowledgeable staff together with a group of friendly volunteers, Maggie's becomes a home from home for those people who are spending time at the neighbouring specialist cancer hospital, The Christie. Maggie's was designed by (Sir Norman) Foster and Partners and it's award winning architecture offers visitors a calming, therapeutic environment which allows conversations to happen naturally and friendships to be formed within its communal spaces over a good cup of tea. The kettle is always on. 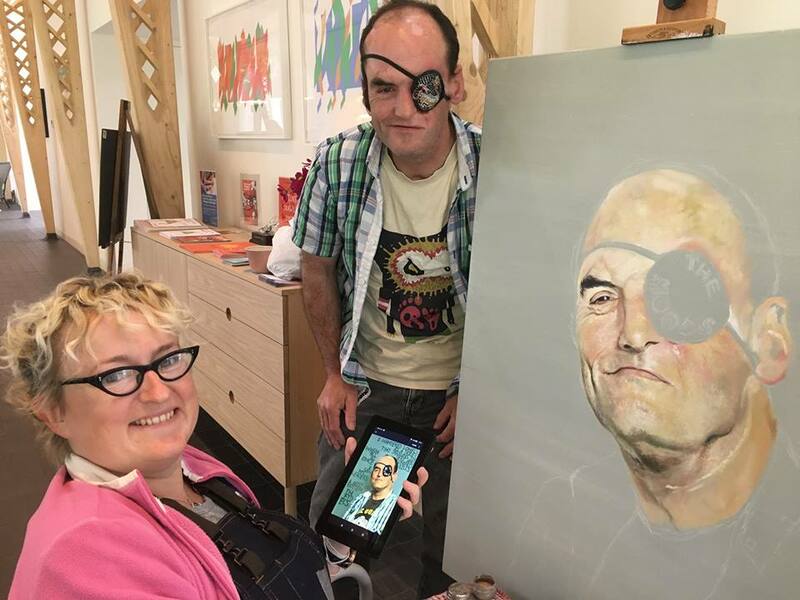 Maggie's recognises the vital place that conversation holds in boosting well-being and promoting resilience when people are faced with illness, an understanding that is mirrored in the delivery of Facing Out, where painting is performance and conversation is key.